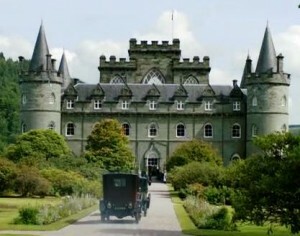 The Crawleys travel to fictional Duneagle, shot at Inveraray Castle. The final episode of Downton Abbey’s Season 3 was broadcast last night on PBS. I am not quite sure which is worse, that the season is over or how it ended. But before the final episode we were treated to an interview with Maggie Smith on 60 Minutes, a real treat. I am disappointed that we were treated to double portions of episodes throughout this season’s broadcast. While utterly delicious at the time, we now have nothing to eat until Season 4 which won’t be ready until next January. And so we join the UK once again for Downton Downtime. 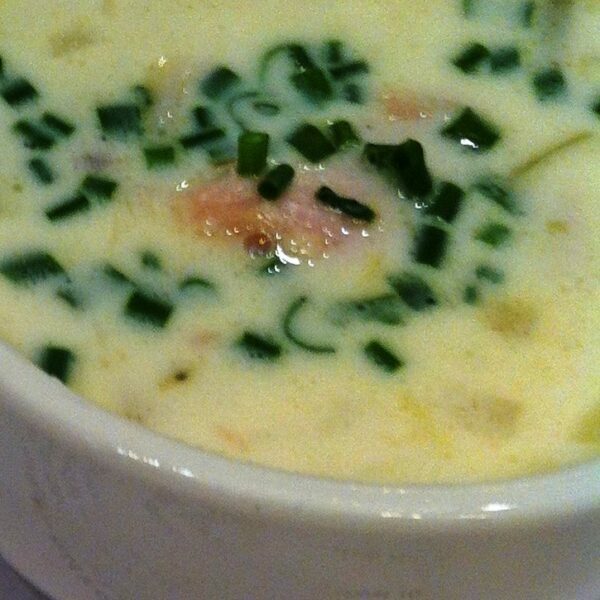 This week we feature Cullen Skink, a traditional Scottish soup to help sooth the soul. Rewind: watch the episodes again, cherish each moment of your favorite characters, before the war, before death, before the financial troubles. Share your DVD collection with friends who haven’t yet seen the series. Perhaps your local network now carries the show. 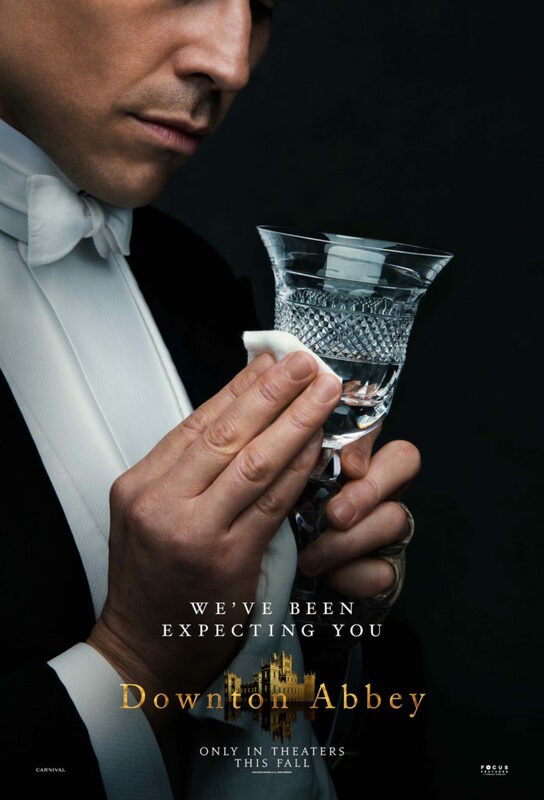 In Canada Vision TV is currently broadcasting the whole series from start to finish, and I write a weekly column called Weekly Downton Dish recounting plot lines and historical significance and a recipe which ties into the upcoming episode. The Chronicles of Downton Abbey: A New Era with great new pics of S3. In addition check out the great fiction of the period written by Evangeline Holland, who blogs at Edwardian Promenade. 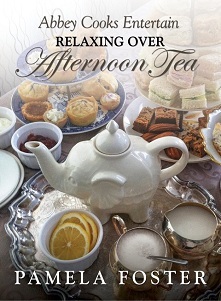 Make Time for Afternoon Tea: Find and frequent a local tea house and have tea with friends and think of the Dowager. There is even a growing trend in the UK for business to be done over tea, not cocktails. My Online guide to Afternoon Tea should be of assistance in understanding the tea tray and to guide you through how to host one yourself. Cook: by now you know my true passion is the food of the show. I love the advice Maggie Smith received from a director: “It is not how you do it, it’s why“. I love this period in history, and it such a shame that after WWI we began to increasingly become consumers of prepackaged convenience foods. I am a big fan of real food: we shouldn’t require a chemistry degree to know what is in our food. 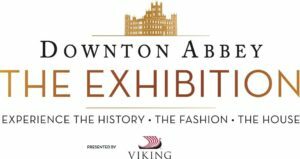 Take your passion for Downton and get back into the kitchen to cook some the dishes of that era which we still enjoy today. I also believe that families bond over dinner, so bring them together when you can. 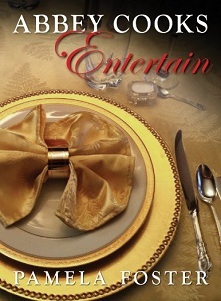 You don’t need formal attire or footmen to serve you, but that would be nice. 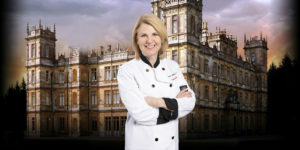 While interest in Downton will wane now that the season is over, I will still be here bringing you new dishes each week, updating my recipe index. 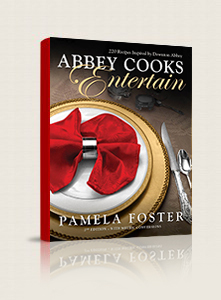 I wrote my book, Abbey Cooks Entertain to help you entertain throughout the day, and English holidays year round. You also learn basic recipes for sauces and jams, breads to stock your larder. Since many of us are now mourning the loss of our weekly Downton Days, it is appropriate for a serving of quick comfort food. Since most of this episode took place in Scotland, a Scottish dish seems most appropriate. Cullen skink is like the Scottish version of clam chowder. It is made with smoked haddock, potatoes and onions. Melt the butter in a large saucepan, add the onion and smoked haddock and simmer for 2 minutes. Add the potatoes and milk, and bring to a boil. Mix the cornstarch with the dairy product and add to the pot. Cook for 2 or 3 minutes until thoroughly combined and heated through. Garnish with the chives and serve. Cullen Skink is a quick milk based soup, named for Cullen, a town in Northern Scotland. Originally it was a broth made from beef shins, but converted to smoked haddock in the 1890s as Cullen Harbour had become the thriving centre of herring fishing, and the village started specializing in the production of smoked haddock. Affordable and plentiful. Mix the cornstarch with the yoghurt and add to the pot.